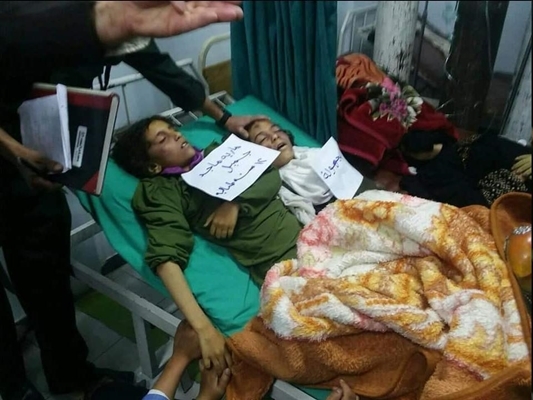 Iranian Foreign Ministry Spokesman Bahram Qassemi has strongly denounced the Saudi-led coalition’s latest airstrike on a school in Yemen’s Sana’a, which killed and wounded dozens of schoolgirls. In a Monday statement, Qassemi offered sympathy to the survivors of the inhumane attack. He also expressed deep regret over the international community’s continued silence and indifference over the aggressors’ crimes. “The countries that created a humanitarian disaster in Yemen by providing arms support for the invaders are complicit in these crimes, and must be held accountable for their support,” Qassemi noted. He also urged the United Nations and the countries that have influence on the Yemen crisis to boost their efforts to immediately stop the aggressors’ attacks, and adopt measures to protect civilians, especially women and children. More than a dozen civilians, most of them schoolchildren, were killed in the latest round of airstrikes by Saudi warplanes on a school in Yemen’s west-central province of Sana’a. Youssef al-Hazzari, a spokesman for the Yemeni Ministry of Public Health and Population, said at least 13 people lost their lives and 92 others sustained injuries after Saudi warplanes launched aerial assaults against an area in the Sa’wan district of Sana’a on Sunday evening. He said most of the victims were schoolchildren.